See Houston’s Top 55 and Older Communities ranked by recreational amenities, accessibility, proximity to medical facilities, and affordability. Active Adult Communities (also referred to as as 55 and older communities, age-restricted, or age-qualified communities) are one of the fastest growing housing types in the United States. 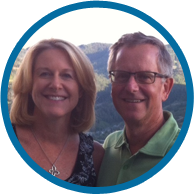 We understand that living in an active senior living community is a complicated and hard decision to make. What are active adult / 55+ communities? What are the pro’s and con’s of choosing active adult communities? 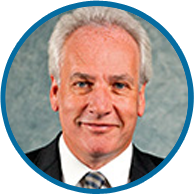 What are the most common criteria people use when selecting 55+ communities? What are the best 55+ communities in Houston? For personalized recommendations, downsizing tips, homes for sale in 55 and older neighborhood recommendations based on your budget and location preferences, please contact Paige Martin, lead of the Houston Properties Team and ranked as the #1 Keller Williams Realtor in the State of Texas. Get the full 41-page Guide To Houston’s Best 55 And Older Communities in an easy-to-read Adobe Acrobat format. Save to your desktop or read on your mobile. Houston Guide: What Are Active Adult / 55+ communities? Age requirements aside, active adult communities are very similar to any other residential community. 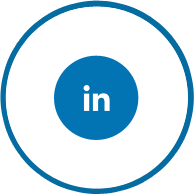 They cater to adults 55 and over who do not want or require services provided in traditional senior living communities. While they do not offer assistance with daily living activities such as personal care, medication, and meals, 55+ communities offer independent living and relatively maintenance-free housing. An additional monthly fee usually cover maintenance of shared spaces and home exteriors, including landscaping, yard maintenance, gutter cleaning, and snow removal. Active retirement communities are also popular among empty nesters who prefer living in a neighborhood that doesn’t have a lot of children. If you are an older adult and would like to maintain independence and privacy, you might want to consider residing in an active adult community. We do not intend to discriminate for or against any party with the use of “adult communities”, “55+ communities”, “55 and older communities” and other similar terminologies. One of the things that make a property desirable is location. Things like the type of surroundings (lakeside like The Heritage at Towne Lake or wooded like Amberwood at Fall Creek?) boil down to preference. For those who are not very outdoorsy, some active retirement communities may be found in the city. For those who enjoy going out, accessibility to retail, dining, and entertainment is another point to consider. You might also want to factor in proximity to family members. One of the primary factors to consider when buying a home is how well it fits your budget. Most 55+ communities are located in higher-end areas, and therefore are likely to have higher property tax rates. Other than the cost of property tax and insurance, there is a required buy-in fee to get into the community. Also to be expected in 55+ communities are maintenance fees and homeowners association fees. This is due to the added costs of maintaining shared space and amenities. The scope of what the dues cover varies per community, but usually includes lawn service, cable, and security measures such as alarm systems. A common misconception is there is a want to downsize, but in reality, only around a quarter of 55 abovers want that; most may want something similar to their old or current homes. There are a number of things to consider in choosing a property. Think of family—do they live nearby or will there be a need for a couple of spare rooms when they visit? Would a bigger kitchen be preferred or an area for woodworking be warranted? For someone with a green thumb, is a pocket garden preferred or home with a large yard? Those who are still working may need office space. Consider the type of lifestyle you’d want to maintain and the amount of space you will need. Downsizing is still advisable for those who want to reduce living costs, but we highly recommend doing the math before making the change. The type of amenities and activities available in a retirement community can greatly affect your quality of life. Walking trails and community gardens tend to be a staple, and many offer resort-style amenities such as pools, spas, and clubhouses. Those who enjoy golf will benefit from living in golfing communities like CountryPlace or Heritage Grand in Cinco Ranch. Courts for tennis, pickleball, and other sports are also available in some areas. Those who would rather stay indoors might prefer a library or arts and crafts rooms, which are common among neighborhoods for 55 and over. Active adult communities these days aim to provide a wide variety of amenities that encourage maintaining and healthy lifestyle; it’s all a matter of choosing which ones you’ll enjoy most. Consider whether you want to be part of a small or large community. Smaller communities like Wellspring at Tamarron with only 109 single-family homes and Amberwood at Fall Creek with 59 single-story homes tend to be more intimate. Larger communities like Del Webb Sweetgrass (1,500 homes) tend to have more or larger amenities to accommodate a larger number of residents. Since active adult communities don’t offer health care like typical retirement homes do, it is important to consider the proximity of medical facilities to a community. Most of these neighborhoods are commonly situated near medical facilities and hospitals. By living in Houston, there’s also peace of mind in knowing world-class care is within reach at the Texas Medical Center. Houston Guide: What Are The Pros And Cons Of Active Adult Communities? Residents of an active adult community can enjoy the benefits of home ownership and low- or no-maintenance living. The monthly association fees typically cover maintenance of home exteriors such as landscaping, yard maintenance, gutter cleaning, and snow removal. Homes are designed for single-floor living (with few exceptions, but master bedroom remains in the first floor) and may be equipped with features that make daily activities easier for those experiencing difficulties associated with aging. 55+ communities offer residents a safe living environment by providing security provisions. Gated communities in particular such as Bonterra at Cross Creek Ranch limit the traffic passing through the community. Active adult communities provide resort-style amenities such as pools, clubhouses, and golf courses. They also offer planned activities and fitness programs to encourage residents to enjoy an active lifestyle, as well as to provide opportunities to socialize. Many 55 and older communities are purposely situated in areas with easy access to dining, retail, and entertainment centers. Medical facilities are also just a few miles away. However, they are often still far enough from other residential areas with a younger demographic so they can enjoy peace and quiet. Due to age requirements usually put in place in active adult communities, younger family members won’t be able to take advantage of this real estate investment. Anyone below 55 cannot use the property without at least one resident being at least 55 years of age. Children are typically not allowed to become full-time residents. While adults below 55 and children may be allowed to visit for a limited time, some residents might not enjoy living in a community with a lack of age diversity. Unlike assisted living communities, independent living communities do not include medical services or other additional care services. 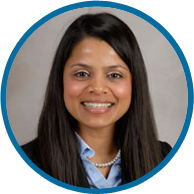 A resident that requires medical services at any point during their residency are expected to find their own support. 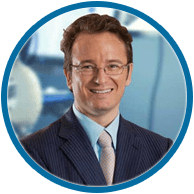 Fortunately, most of the top active adult communities in Houston have built their neighborhoods in close proximity to the best medical facilities in the city. Communities are listed according to the median price of homes for sale, from lowest to highest. Situated about 25 miles from downtown Houston, Del Webb Sweetgrass is an active adult neighborhood located in Richmond. It is located near US 59, and is a mere 2.3 miles from OakBend Medical Center via FM 762 Road. Residents can enjoy a state-of-the-art 27,000 square-foot amenity center called The Lodge. It features indoor and outdoor pools, a fitness center, computer classroom, amphitheater and event lawn, and a fishing pier. The center’s multi-purpose rooms host a variety of health and fitness programs such as Zumba, yoga, and pilates, as well as other community activities. The community also features a 50-acre lake and 4 miles of walking trails. The subdivision currently offers single-family floor plans and is estimated to have 1,500 homes ranging from 1,109 to 3,800 square-feet upon completion. Del Webb Sweetgrass homes for sale are from the $140’s, and the median home value is $230k. Properties currently available are single-family, one-story homes ranging from 1,148-2,636 square-feet. For a custom list of homes for sale in Del Webb Sweetgrass, contact Paige Martin, ranked as the #1 Individual Agent with Keller Williams in Houston, #1 in Texas, and #5 in the United States. 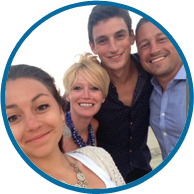 Paige Martin is also the lead of The Houston Properties Team, the #1 ranked boutique real estate team in Houston. Nestled within the master-planned community of Tamarron in the Katy-Fulshear area, Wellspring is a gated neighborhood for adults over 55. The community’s location in Tamarron provides easy access to healthcare facilities, restaurants, and retail stores along I-10, the Westpark Tollway, and Grand Parkway. 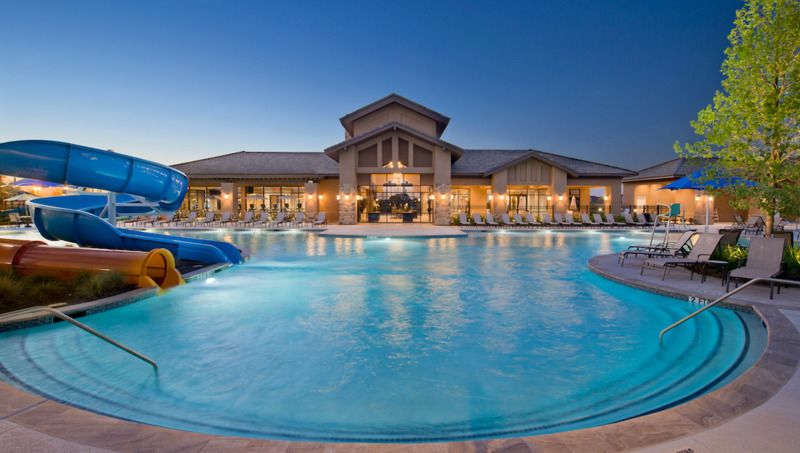 Residents can also use the community’s 4-acre amenity complex, which features a 4,700-square foot clubhouse, fitness center, pools, splash parks, and a playground. The community consists of 109 single-family homes, ranging from 1,595 to 2,694 square feet. Homes for sale in Wellspring at Tamarron range from $250K to $310K. For a custom list of homes for sale in Wellspring At Tamarron, contact Paige Martin, ranked as the #1 Individual Agent with Keller Williams in Houston, #1 in Texas, and #5 in the United States. Paige Martin is also the lead of The Houston Properties Team, the #1 ranked boutique real estate team in Houston. Heritage Grand is a 55 and over neighborhood located west of Houston, in Katy’s master-planned community Cinco Ranch. 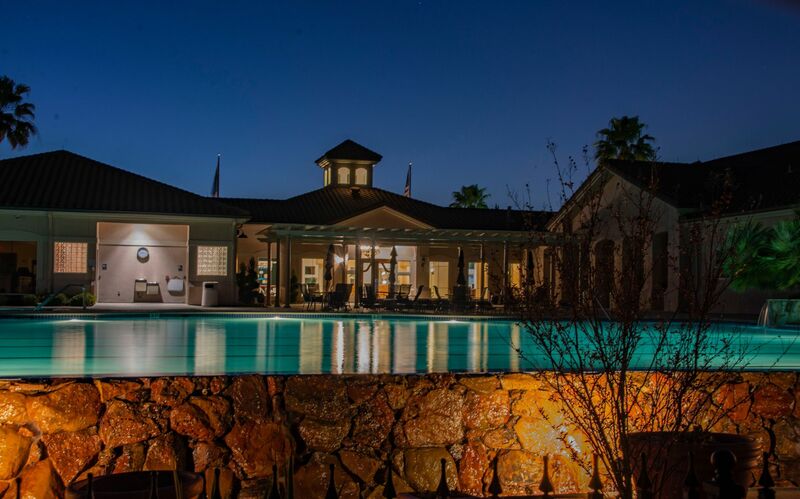 Residents of Heritage Grand have access to a 14,000-square-foot grand club house with a ballroom that hosts events, pool tables, a library, a heated pool, and a fitness center that hosts regular exercise classes. 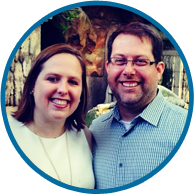 There is a staff of five full-time assistance who oversee community activities such as weekly coffee socials, pot lucks, craft shows, fashion shows, line dancing, and monthly breakfasts. The 18-hole championship golf course at Cinco Ranch is open to residents of Heritage Grand. For medical services, the Grand Medical Clinic in Cinco Ranch is merely 1.2 miles away. 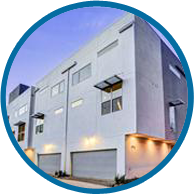 The community consists of 552 single-family and 98 duplex homes, ranging from 1,425 – 2,858 square feet. Homes for sale in Heritage Grand at Cinco Ranch range from $215K up to $470K. For a custom list of homes for sale in Heritage Grand in Cinco Ranch, contact Paige Martin, ranked as the #1 Individual Agent with Keller Williams in Houston, #1 in Texas, and #5 in the United States. Paige Martin is also the lead of The Houston Properties Team, the #1 ranked boutique real estate team in Houston. The Village at Tuscan Lakes is a gated community by Del Webb for adults 55 and over. Situated in League City, the neighborhood is conveniently located near I-45 and Highway 96. It is 28.9 miles southwest of Houston. Amenities in the community include a 12,000-square-foot clubhouse where residents can work out in the fitness center. The clubhouse also has a multi-purpose room, library, arts and crafts studio, a billiards table, a catering kitchen, and a ballroom. Outside, there is a patio, pool, and putting green, as well as horseshoe, bocce ball, and shuffleboard courts. Residents can also use the walking and biking trails or go fishing in the stocked pond. Developed between 2007 and 2016, homes for sale in The Village at Tuscan Lakes range from $200K – $308K. The community consists of 336 single-family homes with floor plans ranging from 1,109 to 2,581 square feet. For a custom list of homes for sale in The Village at Tuscan Lakes, contact Paige Martin, ranked as the #1 Individual Agent with Keller Williams in Houston, #1 in Texas, and #5 in the United States. Paige Martin is also the lead of The Houston Properties Team, the #1 ranked boutique real estate team in Houston. Amenities: 14,000 sq. ft. Clubhouse (fitness center, billiards, table tennis, shuffleboard, outdoor pool, spa, ballroom & computer room), private and public golf courses. 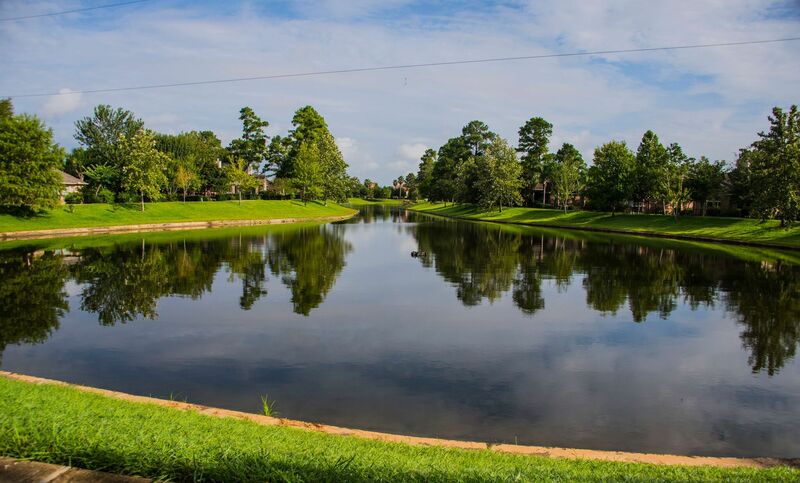 Bellavita at Green Tee is a 55 and over gated community located in the northeastern end of Pearland. The neighborhood features an 11-acre lake and walking trails, and has easy access to Beltway 8 and Interstate 45. At the center of the community is the 14,000 square-foot clubhouse featuring a state-of-the-art fitness center, computer room, ballroom with a stage, shuffleboard, table tennis, and billiards. Regular activities in Bellavita include line dancing, yoga, bible study, game day, canasta, and poker. Residents can also play golf at the Green Tee Country Club, which also features two tennis courts and an outdoor pool. Construction of Bellavita homes began in 2001 and was completed in 2012. Homes for sale at Bellavita at Green Tee range from $207K – $294K, with a median price of $300K. For a custom list of homes for sale in Bellavita at Green Tee, contact Paige Martin, ranked as the #1 Individual Agent with Keller Williams in Houston, #1 in Texas, and #5 in the United States. Paige Martin is also the lead of The Houston Properties Team, the #1 ranked boutique real estate team in Houston. Nestled in Pearland, CountryPlace is a low-maintenance gated active adult community at McHard Road and Texas 288, south of Beltway 8. Its location provides easy access to over 140 restaurants in Pearland and shops at the Pearland Town Center. Situated south of Houston, CountryPlace is also near the Texas Medical Center, Hobby Airport, and the Space Center Houston. 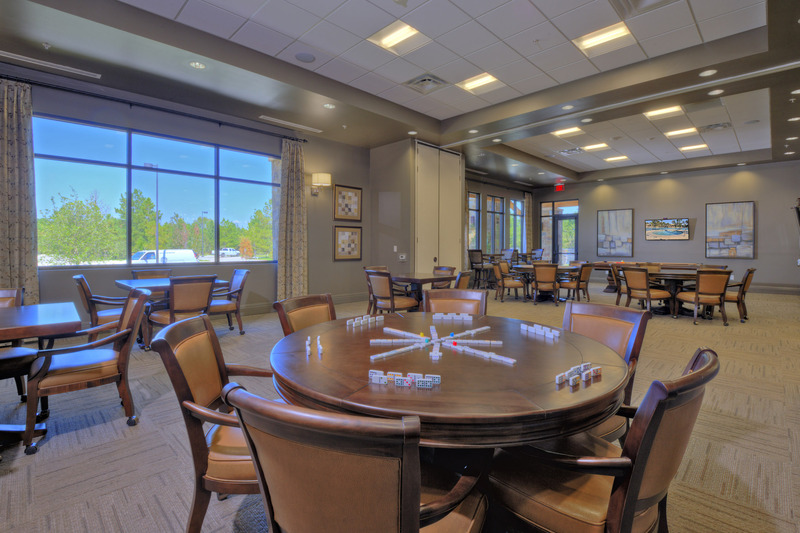 Residents of CountryPlace can enjoy planned activities such as tennis, poker, bridge, and fitness classes. There is a clubhouse with an exercise room, craft room, library, a multi-purpose room, tennis courts, and a pool. The CountryPlace Golf Course is an 18-hole course that welcomes all levels. Homes in CountryPlace were built between 1981 and 2000, with 841 single-family homes and townhomes ranging from below $100K to over $300K. The median price for homes for sale in CountryPlace is $230K. 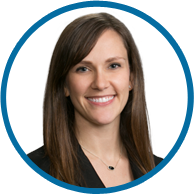 For a custom list of homes for sale in CountryPlace, contact Paige Martin, ranked as the #1 Individual Agent with Keller Williams in Houston, #1 in Texas, and #5 in the United States. Paige Martin is also the lead of The Houston Properties Team, the #1 ranked boutique real estate team in Houston. Nestled 5 miles north of The Woodlands, Bonterra is a 55+ resort-style community in the master-planned community Woodforest, one of the best golf communities in Houston. 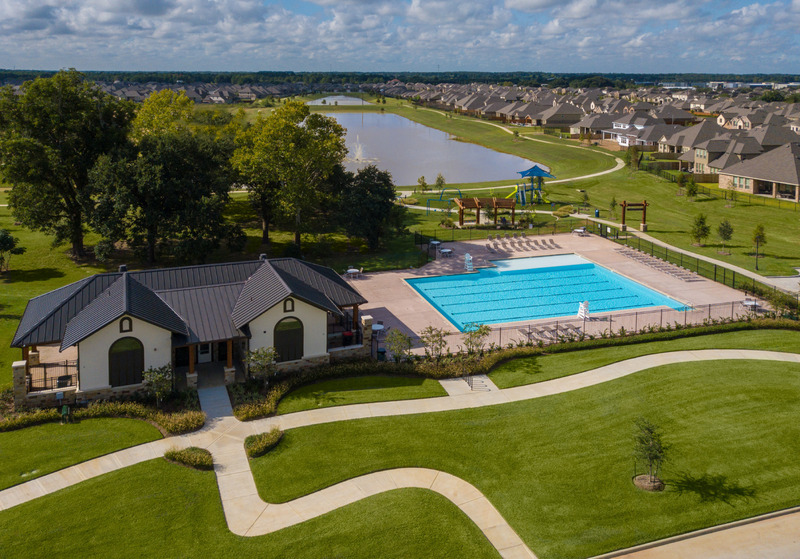 Residents of Bonterra at Woodforest can enjoy community amenities such as a lagoon-style pool, hike and bike trails, and a clubhouse where a Lifestyle Director plans activities and events for members. Residents also have access to amenities in Woodforest, including a 27-hole championship golf course, tennis and basketball courts, several parks, and 90 acres of retail and commercial establishments. Medical services nearby include CHI St. Luke’s Health–The Woodlands Hospital and RediClinic North Woodlands. Construction began in 2014 and continues today, expected to have 700 single-family homes by Taylor Morrison and Darling Homes when completed. 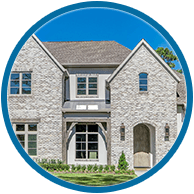 Homes for sale in Bonterra at Woodforest range from $255,000 – $505,000. For a custom list of homes for sale in Bonterra at Woodforest, contact Paige Martin, ranked as the #1 Individual Agent with Keller Williams in Houston, #1 in Texas, and #5 in the United States. Paige Martin is also the lead of The Houston Properties Team, the #1 ranked boutique real estate team in Houston. 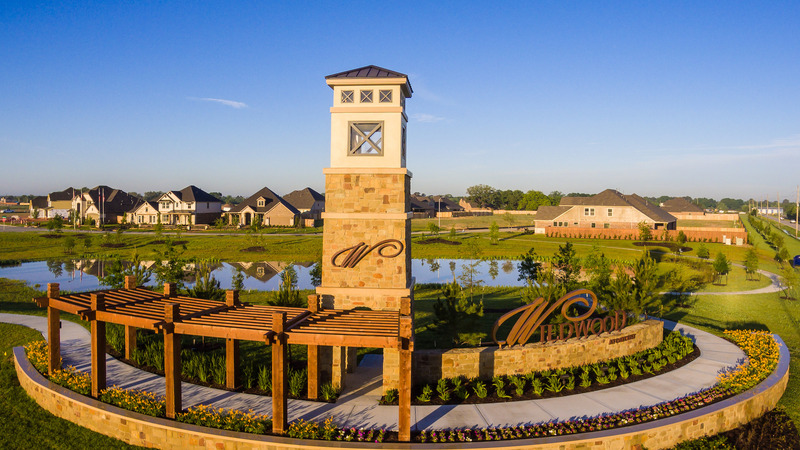 Wildwood is a new-construction master-planned community situated in the City of Tomball. Its location off of SH249 provides easy access to major thoroughfares of Highway 249, Beltway 8, and Interstate 45. Medical facilities nearby include HCA Houston Healthcare Cypress Fairbanks and Memorial Hermann Cypress Hospital. At the center of Wildwood at Northpointe is the amenities park, which features a junior Olympic pool with deck space for sunbathing, a playground, and lighted tennis courts. The neighborhood is surrounded by 11 parks, including Spring Creek Park, Burroughs Park, and Dyess Park. Golf courses nearby include Tomball Country Club, Windrose Golf Club, and Houston Oaks Golf Club. Homes for sale in Wildwood at Northridge range from 1,384 to 4,665 square feet and are priced from the $200K to $620K. For a custom list of homes for sale in Wildwood at Northpointe, contact Paige Martin, ranked as the #1 Individual Agent with Keller Williams in Houston, #1 in Texas, and #5 in the United States. Paige Martin is also the lead of The Houston Properties Team, the #1 ranked boutique real estate team in Houston. 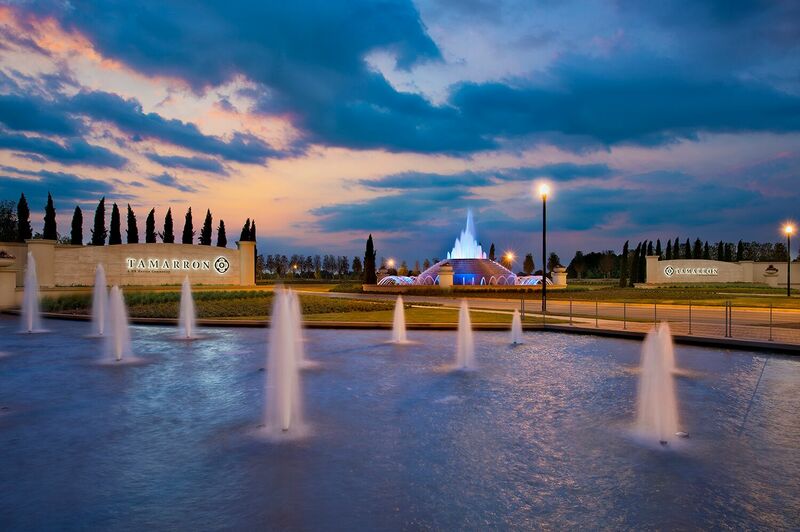 The Heritage is a lakeside subdivision in the master-planned community Towne Lake, Cypress. The upscale neighborhood features a 350-acre stocked lake with 15 miles of shoreline and over 300 acres of open parks. Just outside the community are shopping, dining, and entertainment opportunities in the Cy-Fair area. Highway 290 provides direct access to downtown Houston. 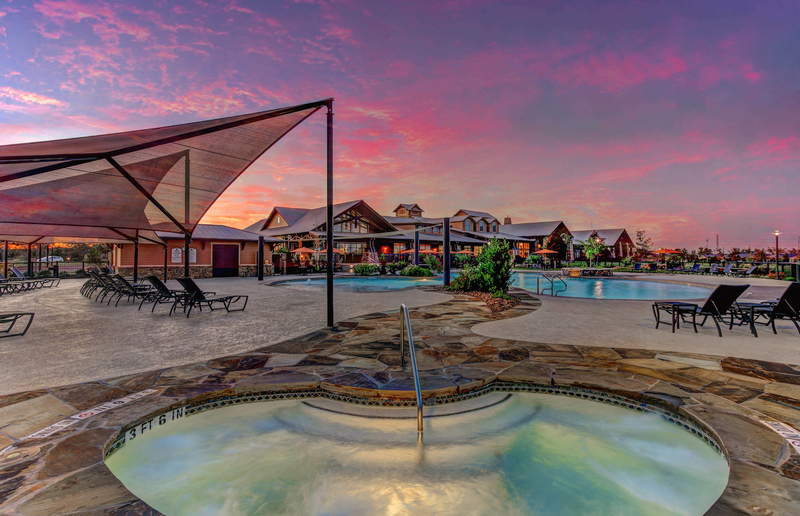 The Heritage Lodge is the heart of most community activities, featuring a fitness center, billiards room, arts & crafts room, library, ballroom, a lap pool, and a spa. Residents can enjoy the outdoors at the waterfront walking trails, community gardens, picnic pavilions, community boat docks and fishing piers, and over 24 miles of recreational trails. Medical services around The Heritage are provided by the Houston Methodist Primary Care Group and Excel Urgent Care. Most homes for sale at The Heritage at Towne Lake are one-story floor plans by Village Builders ranging from 1,500-4,000 square feet. These properties are priced from $270K – $725K. For a custom list of homes for sale in The Heritage at Towne Lake, contact Paige Martin, ranked as the #1 Individual Agent with Keller Williams in Houston, #1 in Texas, and #5 in the United States. Paige Martin is also the lead of The Houston Properties Team, the #1 ranked boutique real estate team in Houston. Chambers Creek Ranch in The Woodlands will be the newest master-planned community in Houston, set to debut in Willis in 2020. According to developer Caldwell Companies, Chambers Creek will feature more than 3,000 homes on 1,200 acres northwest of the intersection of I-45 and FM 1097. This will make it the largest 55+ community in the Greater Houston area. Homes for sale in Chambers Creek Ranch in The Woodlands will range from the $200K to more than $1M. For a custom list of homes for sale in Chambers Creek Ranch in The Woodlands, contact Paige Martin, ranked as the #1 Individual Agent with Keller Williams in Houston, #1 in Texas, and #5 in the United States. Paige Martin is also the lead of The Houston Properties Team, the #1 ranked boutique real estate team in Houston. Amberwood at Fall Creek is a neighborhood in Humble, just 15 miles from downtown Houston. Nestled in a semi-secluded, wooded area of master-planned community Fall Creek, Amberwood is known for its maintenance-free homes. The neighborhood is comprised of 58 single-story attached homes, although some feature a second level. Residents of Amberwood have access to the Redstone Golf Club, as well as a library, ballroom, and exercise studio. Just a mile away is The Park at Fall Creek, a resort-style activity center with tennis courts, a picnic area, a children’s playground, an aquatic center, and pools. Medical facilities near Amberwood at Fall Creek include Humble Medical, Memorial Hermann Summer Creek Primary Care, and Cypress Creek Hospital. Homes for sale in Amberwood at Fall Creek range from 1,524 to 1,888 square feet and are priced from the $259K – $285K. For a custom list of homes for sale in Amberwood at Fall Creek, contact Paige Martin, ranked as the #1 Individual Agent with Keller Williams in Houston, #1 in Texas, and #5 in the United States. 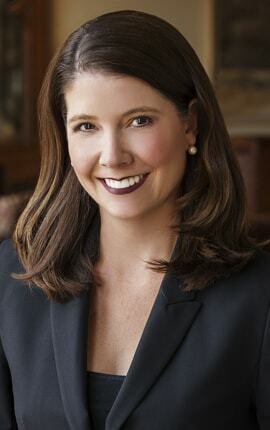 Paige Martin is also the lead of The Houston Properties Team, the #1 ranked boutique real estate team in Houston.